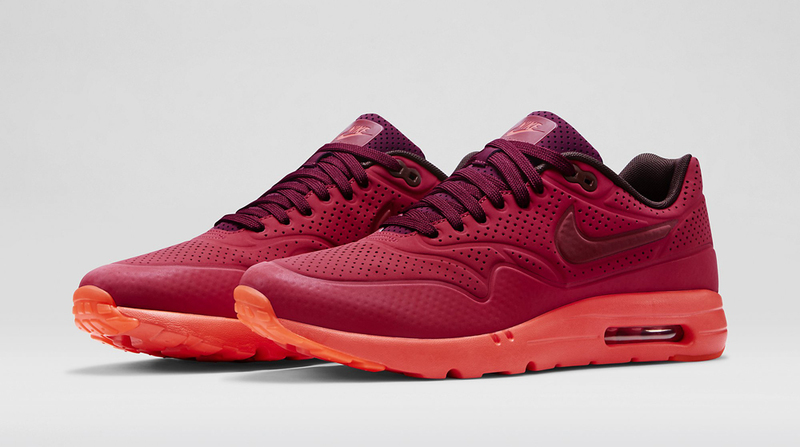 The Nike Air Max 1 Ultra Moire will be showing up in the coveted all-red look. 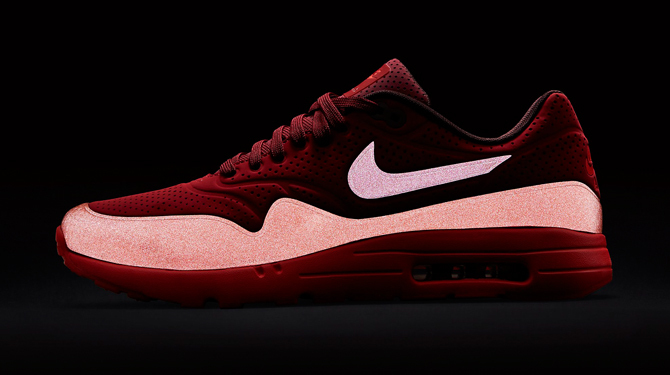 Not every all-red shoe should be taken as a product of the "Red October" fever. 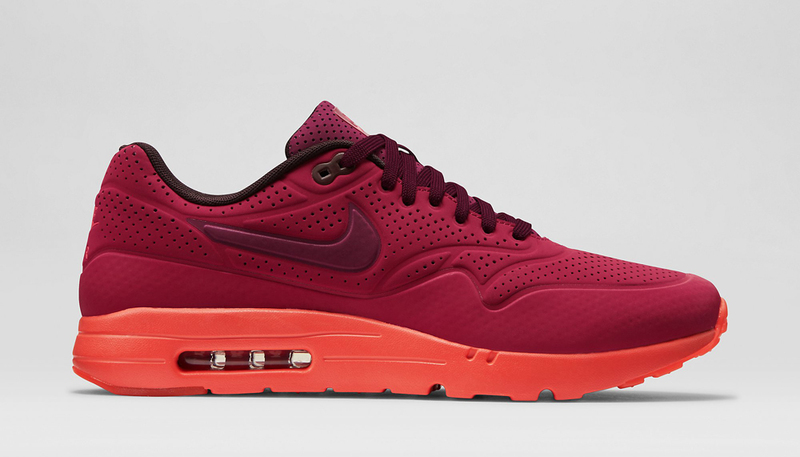 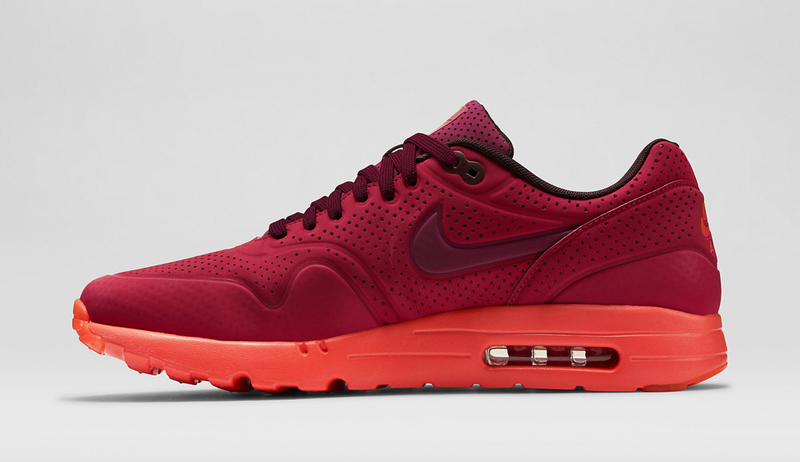 Take this Nike Air Max 1 Ultra Moire in gym red for example. 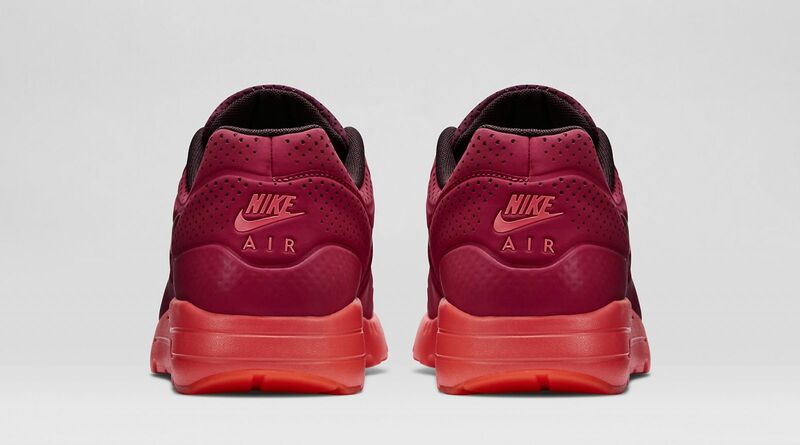 Sure the shoe is mostly covered in reds, but the look here is much more tonal that what was found on the Air Yeezy 2 in question, and the burgundy of the Swoosh and tongue in particular serve to break up the equation. 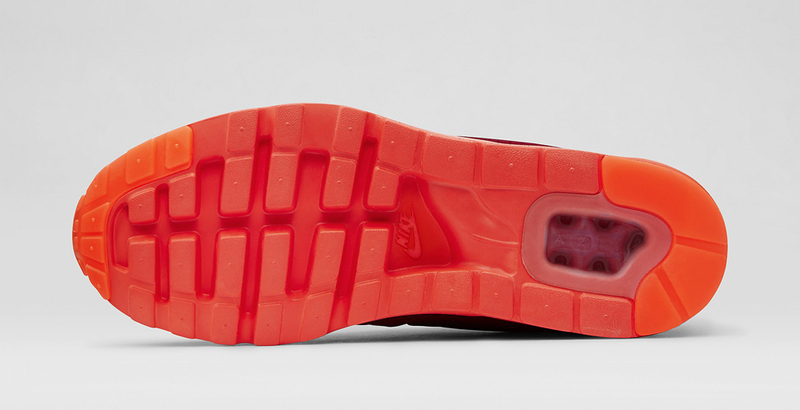 What's more, the materials on this pair are pretty far from those on the Yeezys. 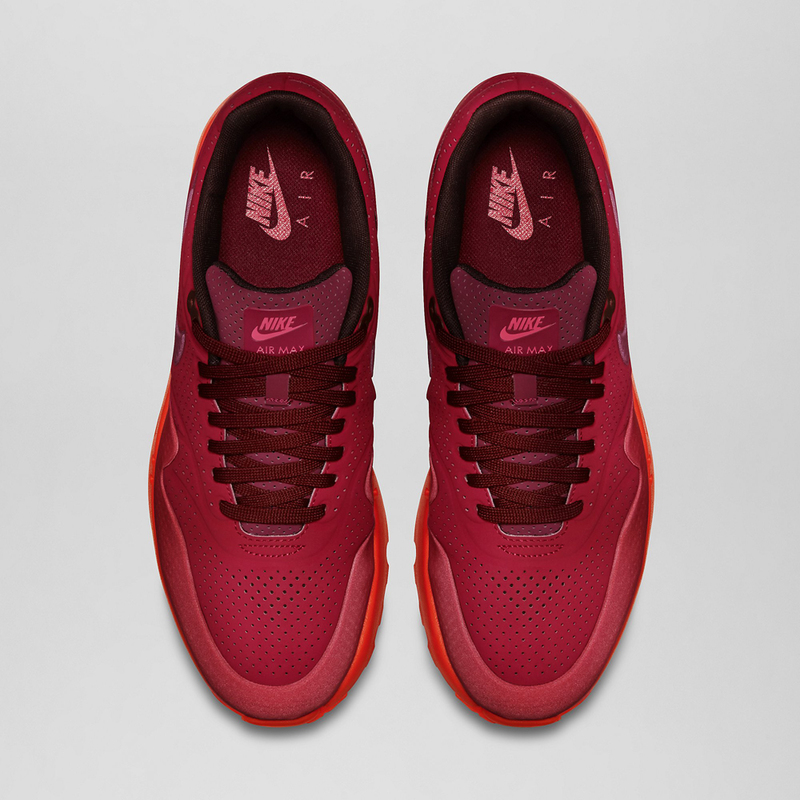 This Nike Air Max 1 Ultra Moire will release on Thursday, the official release date for this upgraded Air Max 1 build, along with 9 other versions of the shoe.